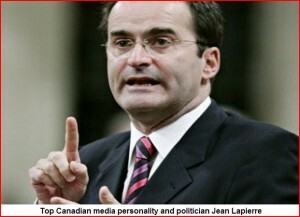 Canadian Media Personality and Politician Jean Lapierre Murdered. A chilling new Foreign Intelligence Service (SVR) report circulating in the Kremlin today states that one of Canada’s most beloved television and radio personalities, Jean Lapierre, was killed yesterday in Quebec Province by “a deliberate terrorist act” when his aircraft was targeted just hours prior to his secretly meeting with top representatives from the American political campaigns of Donald Trump and Bernie Sanders. According to this report, SVR “assets” this past weekend were monitoring the “movement/actions” of a small contingent of Islamic State (ISIS/ISIL/Daesh) terror fighters that were secreted from the Levant War Zone territory of Syria into Turkey then flown out from Incirlik Air Base (IAB), landing first at Canadian Forces Base Greenwood, in Nova Scotia, then completing their flight at Edwards Air Force Base in California. 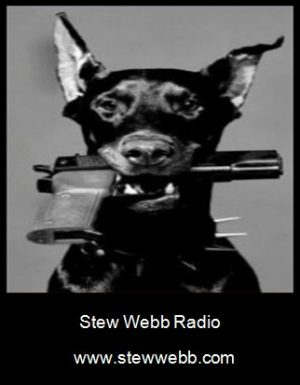 Upon these Islamic State terror fighters landing in California, this report continues, their US Central Intelligence Agency (CIA) and British Secret Intelligence Service (SIS/MI6) “handlers/instructors/protectors” transported them to a desert region outside the town of Apple Valley where, this past Sunday (27 March), they began firing their weapons at American citizens who had been hiking and camping in the area. The SVR notes in this report that this “bizarre/strange” CIA-MI6 exercise involving these Islamic State fighters terrorizing American citizens was “more than likely” intended as a “simulated event” to test the reactions of local police forces who might in the future encounter these terrorists—and is a theory the SVR says is supported by the fact that as soon as local US police and Federal Bureau of Investigation (FBI) forces captured these terrorists, they were all let go “without charge”. After their release by US police and FBI forces, this report continues, these Islamic State terror fighters were then transported back to Edwards Air Force Base where the SVR presumed they would begin their journey back to Turkey—but upon their plane landing for refueling in Nova Scotia Monday evening (28 March), 4 of these fighters departed their flight and boarded a smaller [красноломкий] that had filed a flight plan for the Îles-de-la-Madeleine Airport in Quebec, Canada. 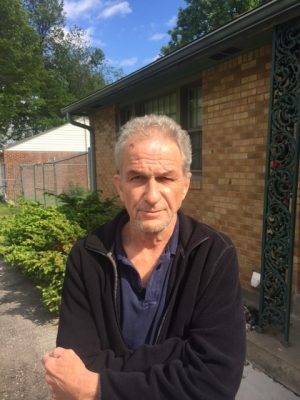 In attempting to ascertain as to why these four Islamic State terrorists were being transported to this “small/tiny” Quebec island, this report says, the SVR was “enlightened/shocked” to discover that an Air Canada flight from Albany, New York, to Montreal, Quebec, had scheduled passengers belonging to both the Donald Trump and Bernie Sanders presidential campaigns aboard who all were then scheduled to continue flying on to Îles-de-la-Madeleine Airport. A further “electronic countermeasure” investigation by the SVR of these Trump-Sanders “high level” representatives, as to why they were traveling to this island, this report continues, revealed a “significant” level of “contact/correspondence” with Jean Lapierre—who had, likewise, yesterday morning filed a flight plan to travel there too. Upon compiling these “alarming/suspicious” “evidentiary facts”, this report notes, the SVR then sent to the Canadian Security Intelligence Service (CSIS) an urgent “investigate/inquire” request that was not responded to—and within three hours of this request being made, public reports began to state that Jean Lapierre’s plane had crashed while it was landing at this small islands airport killing him and 6 others aboard. To why the representatives of Trump-Sanders would be meeting with Jean Lapierre, SVR analysts in this report state, is due to this Canadian politician being one of the most knowledgeable, and powerful, Western leaders who successfully established, across all party and ideological lines, a potent anti-establishment political party—called the Bloc Québécois. Founded in June 1991, this report explains, the Bloc Québécois broke with Canada’s establishment and created a populist movement political party centered on the rights of French speaking Quebec peoples and bringing under its leadership former political enemies from both the left and right—a near mirror circumstance existing in the United States today should Trump and Sanders unite their populist movements. With populist sentiment fueling both Trump and Sanders, SVR political analysts in this report explain, their campaign rallies draw tens-of-thousands of disaffected American voters filled with anger against their nations elite rulers, and whose constituencies are now being observed to be merging—and which should they do, they would destroy both the Democratic and Republican parties. Unlike any other American Democratic Party politician too, this report continues, Sanders would, in fact, be acceptable to right-leaning Trump supporters due to his long support of gun rights—which were necessitated by his being a representative from the State of Vermont whose gun laws are nearly nonexistent. And to the likelihood of a Trump-Sanders presidential ticket becoming a fact, this report concludes, it now appears a near certainty as both of these populist leaders, of both the left and the right, and no matter how many contests they win, are seeing the outright theft by their political parties of their nominations—Trump’s being done by the theft of the delegates he has won, and Sanders by a system that gives his opponent what are called “super delegates” the American people aren’t even allowed to vote for.